Through the course of working with young people aged 18–25 from the Greater Dublin Area in my work HEED FM, I have come to realise there is a huge disparity between postcodes in terms of those who continue on to third level education, and those who don’t. I feel strongly that access to educational resources in this country is unequal and that the current system of educating our people needs to change. My new work Free Thought FM is a creative experiment focused on these issues. The project is an open forum where the issues can and will be explored. 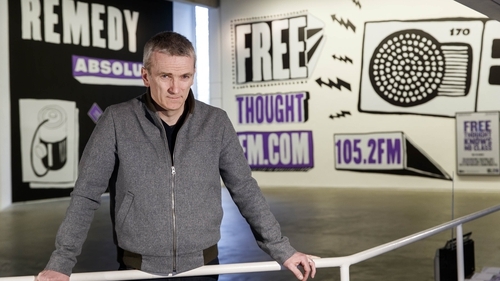 Free Thought FM takes place in The Douglas Hyde Gallery in Trinity College, and uses the gallery as safe place to share ideas, while also spreading far beyond its walls. I think of terrestrial radio as having a sculptural form. It travels out into the abyss forever. It goes through our bodies and the walls of the gallery and becomes symbolic for many things. There are three parts to it: a standard exhibition that anyone can come and visit; a temporary radio station that is located in the gallery, which people can visit to chat to me live on air about the subjects at the heart of Free Thought FM; and a marketing campaign that offers straightforward information about alternative routes to education, executed through posters across the city and a social media campaign. We’ve also produced a booklet containing clear and to-the-point information about core aspects of the Irish education system post-secondary school, including doing Irish in the Leaving Cert, being a mature student, the CAO system and SUSI grants. This can be picked up in the gallery or downloaded here. Radio, for me, is both democratic and accessible. I think of terrestrial radio as having a sculptural form. It travels out into the abyss forever. It goes through our bodies and the walls of the gallery and becomes symbolic for many things. If you tune in to 105.2FM in the Greater Dublin area or online at www.freethoughtfm.com anywhere in the world, you will hear conversations I am having with Transition Year and Leaving Cert students, academics, professionals working in social services and education, and many people from different backgrounds, discussing class inequality, their own experiences and how our education system needs to change to provide a fair and accessible route to further education for all. I feel strongly that access to educational resources in this country is unequal and that the current system of educating our people needs to change. During the final four weeks of the exhibition, post-live broadcast, we will have a series of talks in the gallery. These include: a panel discussion on May 7, with the principal of Mount Temple Comprehensive School Liam Wegimont in conversation with educational stakeholders on the subject of reforming the Leaving Certificate; a talk on Sonic Agencies on 15 May between artist, writer and Professor at the Bergen Academy of Art Brandon LaBelle, and lecturer in Digital Cultures at NCAD Rachel O’Dwyer; and, myself in conversation with DHG Director Georgina Jackson about Free Thought FM on 23 May. FREE THOUGHT FM is broadcasting live from the DHG until Tuesday 23 April 2019. 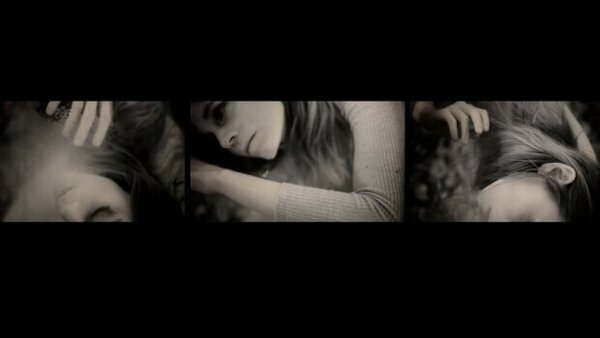 The exhibition continues until Saturday 25 May at The Douglas Hyde Gallery, located just inside the Nassau street entrance of Trinity College - find out more (and listen in) here.